We are just weeks away from one of the best events of the season! 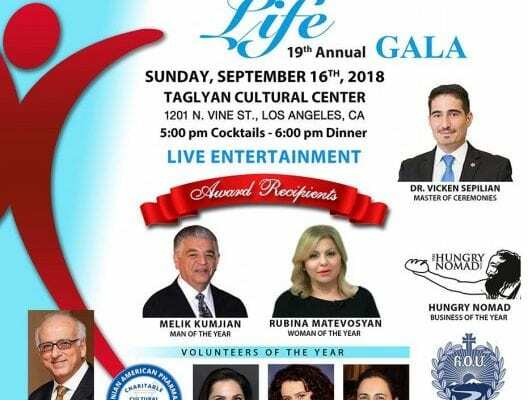 You are invited to the Match For Life – 19th Annual GALA at Taglyan Cultural Center. The exclusive event will be held on September 16, 2018. 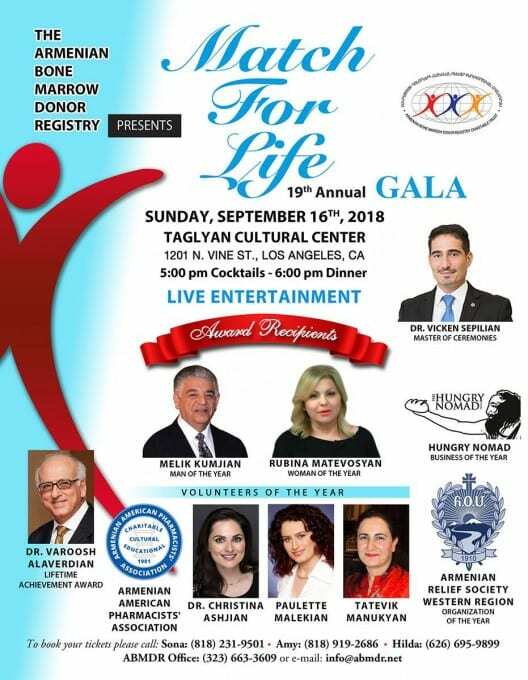 The Armenian Bone Marrow Donor Registry will have the pleasure of honoring this year’s award recipients. Grab your formal wear and join us for live entertainment, dinner and more. It will be a night to remember! Below is a photo of a past Gala.